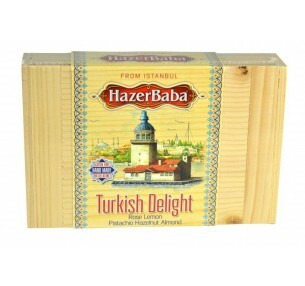 Sahika Turkish Delight, direct from Turkey, contains no artificial colours. The hexagonal gift box consists of an assortment of soft Turkish delight pieces that are delicately infused with Rose, Lemon, Orange and Mint. Everyone's favourite is covered in this box!